Leadership can mean many things and comes in many forms – the greatest quality I know of in any leader is the willingness to invite and embrace challenge. The ability to do this and, at the same time, be engaging, kind, inspiring and empathetic is truly remarkable. 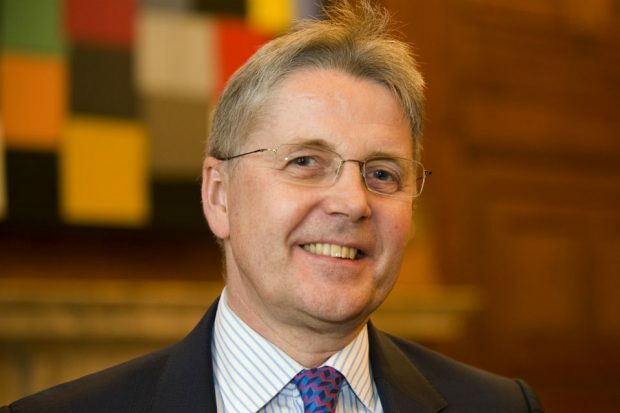 Many people knew Jeremy Heywood, rightly, for his impressive intelligence – he practically had two brains – as trusted adviser to successive prime ministers and as Head of the Civil Service. Jeremy Heywood was also my sponsor. I first met Jeremy in 2008, when he was Downing Street Chief of Staff. This is a short piece on what it was like to be one half of this great friendship and amazing journey. When the Race Disparity Audit was commissioned by the Prime Minister and I was assigned to the founding role in 2016, having been away from government for five years, I asked Jeremy to formally sponsor me – he agreed. We met regularly to discuss my career path, development and future options. He had a genuine strong interest and we would spend a great deal of time talking about how my role was going, how to map out the next six months, focus progressively on expanding my experience, networks and visibility, and delivering strongly on corporate contribution. Thanks to Jeremy’s sound advice, steers and support, I learned to flourish, my lens and talent expanding. I came to learn first-hand that Jeremy had set as one of his top three priorities as Cabinet Secretary the need to increase the diversity of the Civil Service, including at senior levels. The fact that this is one of my own personal goals meant that this was a great alliance from wonderfully different perspectives. What Jeremy probably didn’t count on was that, as our sponsoring relationship unfolded, I would come to email him regularly about challenges I had identified, particularly in the Diversity & Inclusion space and innovative ideas to tackle them. I had in the preceding years often emailed Jeremy suggesting new ideas and practical solutions I had identified through my work. He had a passion for and was always open to ideas, solutions and challenge. My career background sometimes puzzles those around me – policy, the UN and think tanks. I believe there is room and need for us all in the Civil Service. Jeremy had worked at the IMF and in the private sector, so he too had a wealth of diverse and rich experience. These few words were greatly inspiring and empowering to me then, and will stay with me always. Jeremy had a bust of Gandhi on the mantelpiece in his office. I once asked him if he knew if his fellow permanent secretaries’ offices were equally inviting, and if they too sponsored colleagues from under-represented groups like me. Jeremy is the first Cabinet Secretary to set targets for ethnic minorities and disabled persons in the Senior Civil Service. Truly commendable leadership, especially as he ensured the resource and support to deliver these targets and improved outcomes was also established. I also shared with Jeremy deeply personal stories of encountering bias, how its pain is so reductive and how, despite the challenge, I wanted to turn the pain into something positive – and how I needed his help to achieve this. He instantly threw his incredible leadership into tackling this. The result of this exchange was the first ever full session at Wednesday Morning Colleagues – the weekly meeting of all Permanent Secretaries chaired by the Cabinet Secretary – reserved for an open discussion about diversity and inclusion, and tackling key challenges. This discussion was deeply moving and highly effective. His leadership inspired his colleagues into action, and the discussion is now being replicated at key levels across departments focusing on improving outcomes. These open and frank conversations were only possible because Jeremy invited me always to be myself, and not to hide behind formality. Instead, he fully supported and encouraged my inquisitive analysis, drive, energy and passion to highlight and then tackle challenges head on. Senior people can often, even unintentionally, seem intimidating. I never felt that in Jeremy’s presence. He was always so very open and willing to discuss key issues. Through these many encounters I also gained something invaluable: I was able to walk briefly in his shoes, appreciate the great myriad of challenges he had to deal with – though he never shared sensitive matters – the strength required to listen to many often diverging voices, and the breadth of intelligence needed to wade through it all and still focus on leading, empowering others, finding solutions and making things work. What is also true is that we had a lot of laughs. A favourite was when, as we neared the end of a 1:1 session, he said, while smirking: “It’s great – you come in here and tell me at least 10 things you want me to do!” To which I promptly replied: “It’s 9!” We both giggled at that one. Jeremy Heywood has left wonderful and inspiring memories and an incredible legacy – including the Heywood Foundation, a charitable incorporated organisation (registered number 1180790), to promote diversity and innovation within the Civil Service and wider public services, of which I am a proud Trustee. Jeremy was truly an amazing sponsor. He will be greatly missed. I have never met a giant – but Jeremy knew that I referred to him as “the big guy”, because he had remarkable presence and his footprint is clearly visible long after he leaves the room. My love and prayers are with Jeremy’s dear wife Suzanne and their children. Thank you Zamila for sharing with us your personal reflections. I would agree that he was indeed a great advocate of Diversity and Inclusion and had been instrumental in trying to make sure that the Civil Service is a true reflection of the diverse modern society that we live in, that all staff have the opportunity to fulfil their aspirations and that all staff are treated with respect and equality. Fabulous and insightful testimony. A superb illustration of a mentor-mentee relationship. I met him once briefly at an event. He was obviously a great man and a man of true integrity. Let us hope and pray that his legacy prevails for generations to come.